Provides orientation and increased safety in the dark. 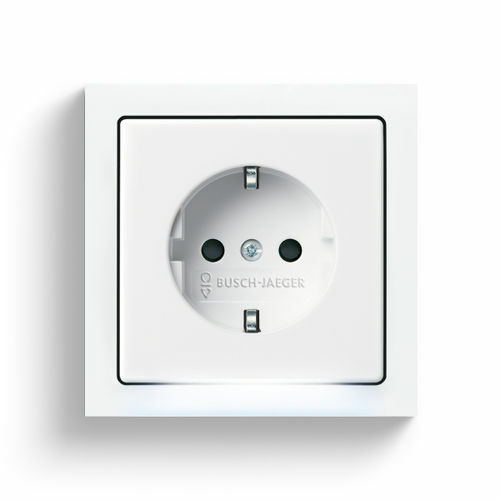 Two in one: Busch-steplight® is a SCHUKO® socket outlet insert which has an integrated light for orientation. 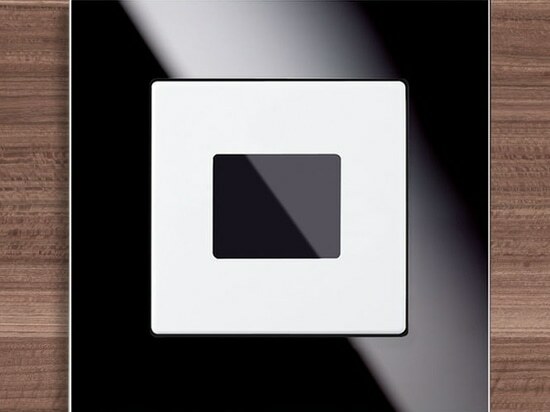 The LEDs provide excellent orientation in rooms, hallways or staircases when it is dark. 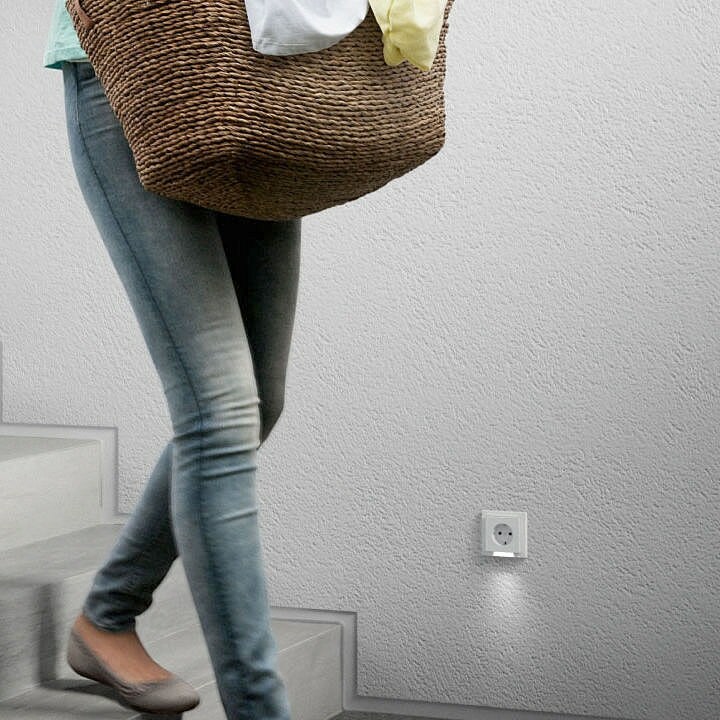 An advantage in comfort in every living environment, and also ideally suited in homes for the elderly or as nightlight in children's' rooms. 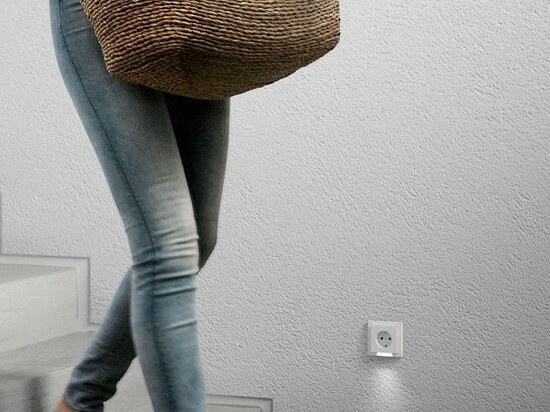 Two LEDs create a vertical cone of light, which shines downwards out of the socket outlet. 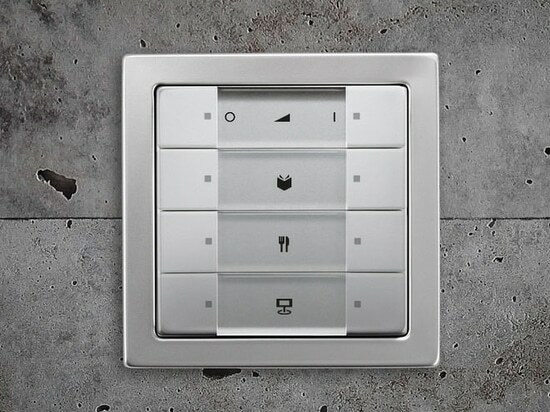 The light for orientation can be switched off at any time via a separate switch. This is how easy it is to create the right atmosphere with light. 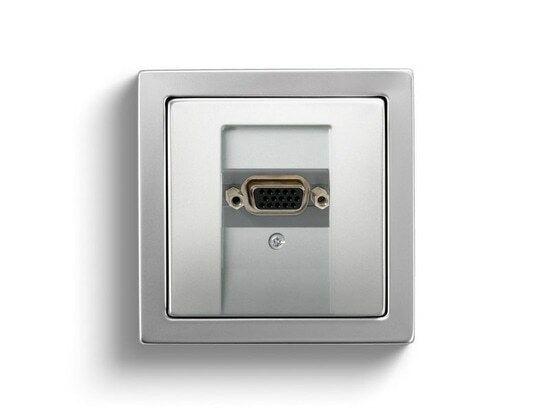 When it comes to light control and light scenes, ZigBee Light Link is the answer. 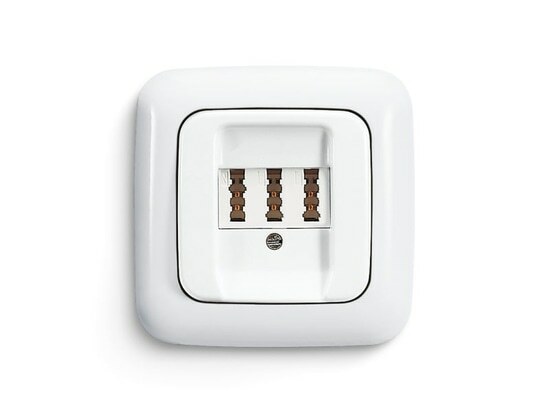 Three different control elements are available for the flexible design of the applications, 1gang, 2gang and 4gang, either as control elements for the flush-mounted insert or battery-operated.